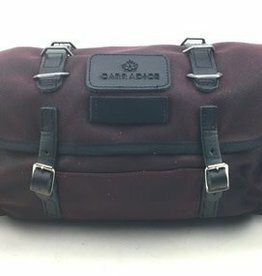 The Nelson Longflap saddlebag is one of Carradice's most popular bags. Its larger size and adjustable capacity make it ideal for longer rides including overnight stays. It’s even great for commuting when you need to carry extra gear. Made from 100% waterproof cotton duck: The original performance fabric. 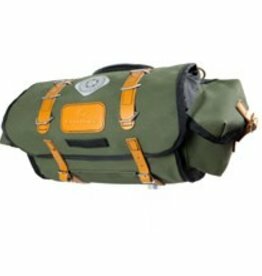 Waterproof canvas rain gear for your legs and feet. 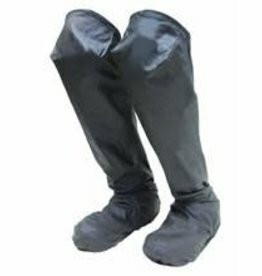 Over knee fit, adjustable fastening at top and bottom and an elastic stirrup suitable for use with cleats. Made in England. Stay dry while cycling the English way. The Carradice Duxback Poncho is made of waxed cotton duck with lined hood and collar, reflective strip on back, and has internal thumb loops to keep the poncho secure to you and your bike. Made in England. 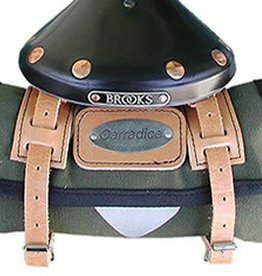 The Barley Saddlebag is Carradice's bestselling saddle bag. It’s ideal for day rides and the commute to work with enough room to hold essentials and a bit more. 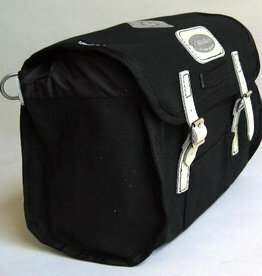 The Junior saddlebag is the perfect bag to take on a day ride. It’s small, compact and perfect for carrying essentials for a day ride or commute. It can even be mounted on some handlebars. 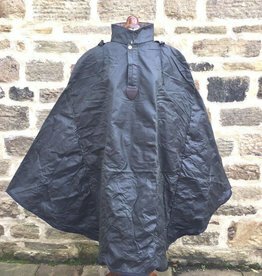 Cotton duck and leather cape roll with internal pouches to carry tools. to carry tools when cape is rolled inside. 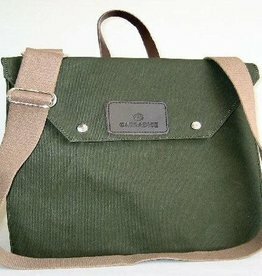 This saddlebag is a Nelson saddlebag but without the external pockets. It has leather patches on the lined lid so that extra loads can be lashed on.